Vladimir Kalinin, MD, Ph D was born in 1952 in Orenburg, Russian Federation in family of physicians. He had graduated Moscow Medical Stomatological University in 1976 and in 1976-1977 had finished an internship on psychiatry. Since 1978 he had become a scientific researcher at Moscow Research institute of Psychiatry where he is still working as Head of Department. The scope of his scientific interests concerns a broad range of psychiatry problems, including general psychopathology, psychopharmacology, neuropsychiatry and epileptology. The topic of his doctoral thesis (1996) concerns the Anxiety disorders psychopathology and treatment with emphasis on panic disorder. Professor V.Kalinin is author of 170 publications, including research articles in professional journals (in Russian and English) and 4 monographs (in Russian and English). 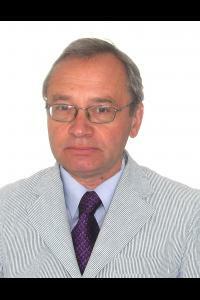 He is a member of Presidium of Russian Psychiatric Society, and member of Russian League against Epilepsy. His biography is included in Marquis “Who is Who in Medicine and Healthcare 2006-2007”; “Who is Who in Science and Engineering 2008-2009”; “Who is Who in the World 2010”; “Who is Who in the World 2011; and in Cambridge International Biographical Centre.